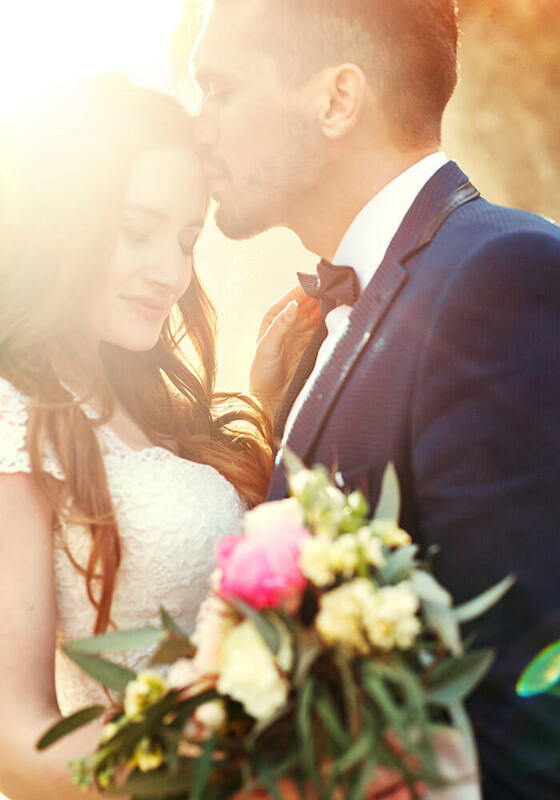 Your wedding day is one of the most important days of your life, and we understand that it should be both special and memorable. That’s why we make sure every event is beautiful and magical at our inn – one of the best wedding venues in southern Maine. Our beautiful grounds have set the stage for many perfect weddings and now we’re ready to host yours. 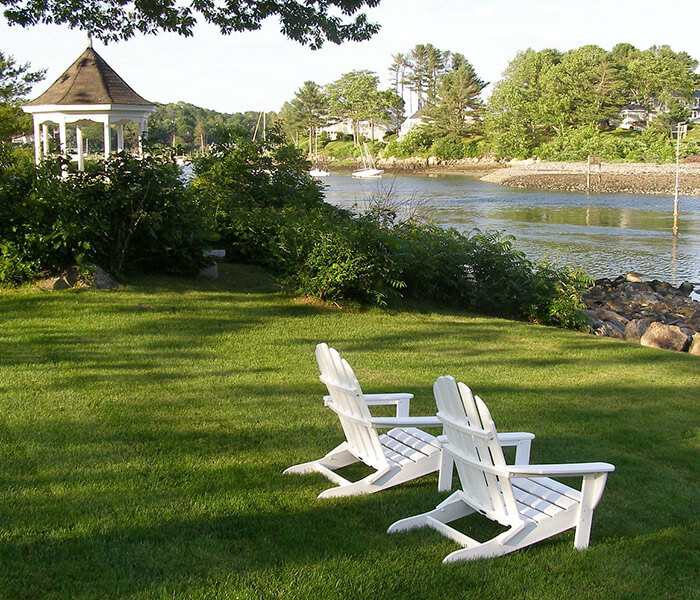 Trust us, the incredible harbor view is just the beginning of what our York, Maine wedding venue has to offer. Our fine dining restaurant will prepare delectable wedding menu options for your reception that are sure to wow your guests. You’ll also enjoy comfortable accommodations at one of the best places to stay in York, Maine for you and your out-of-town guests. 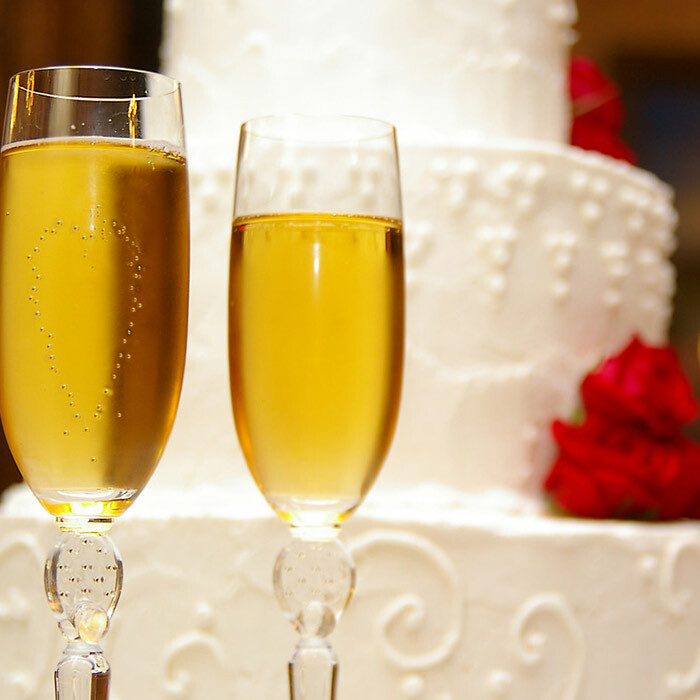 We’re always happy to help make dream weddings a reality for your beginning to happily-ever-after. We have everything on site to make your special day memorable and easy — chair rentals, arbors, runners for your ceremony, and so much more! Let us take the stress out of your wedding ceremony and reception, so you can focus on each other and your treasured guests. Call 207-363-2722 or email info@dockside-restaurant.com for more information, to check availability of your dates, or to start planning your perfect ceremony at our award-winning York, Maine weddings and events venue today. Wedding ceremonies are held on the front lawn of our historic bed and breakfast in Southern Maine, facing the Atlantic Ocean. Delicious house-made hors d’oeuvres and cocktails follow the ceremony on the same ocean front lawn. Our restaurant also transforms into a beautiful reception venue with the waterfront as your backdrop. 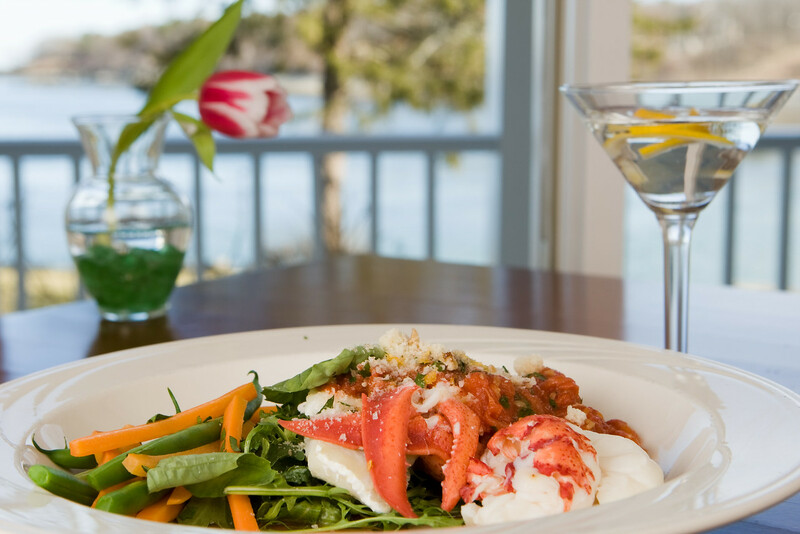 Dining and dancing take place in our newly renovated restaurant with floor to ceiling windows and wrap around porches facing scenic York Harbor, Maine. A big, mahogany bar also faces the harbor; your guests will enjoy the skillfully crafted cocktails and an extensive wine by the glass selection. The food we serve is simply delicious! Our menus are custom crafted to reflect your taste and budget. The choice is up to you — elegant served meals, station buffets, lobster bakes — they each are presented with classic New England style. Mix in family, friends, and music, and you have all the ingredients for an exceptionally fun experience to remember. Large Receptions: You may reserve the exclusive use of our grounds and restaurant with a minimum reservation of 100 guests, with a maximum of 160 guests. Intimate Receptions: If your party calls for a more intimate setting (25-60 guests) we offer you our Deck Room with sweeping views of York Harbor. Winter Visits: We’d be happy to schedule a guided tour during the winter months, but please note that during the off-season, our property is not at its summer best. Look past the piles of snow and boats stored in the parking lot to imagine full green trees, manicured lawns, and warm summer breezes.